The Four Heatons Traders Association is an award winning local community group close to our heart here at Nettl of Stockport – after all, we are a founder member and play a very active role in the organisation. The 4HTA website serves two purposes. First, it’s a news site for the local community providing news and updates on activities of local traders, as well as events such as the popular Heatons Summer Festival. For members of the 4HTA, the site comes into it’s own. We’ve built a membership site that allows local businesses to create a profile page, network with each other, create member only offers, and write their own news articles. 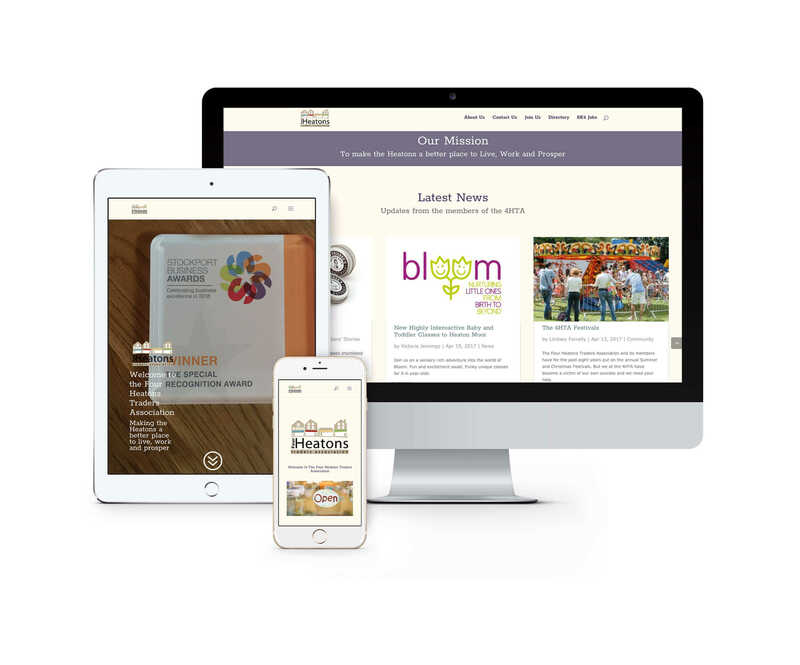 The website is a cornerstone of the Four Heatons Traders Association.